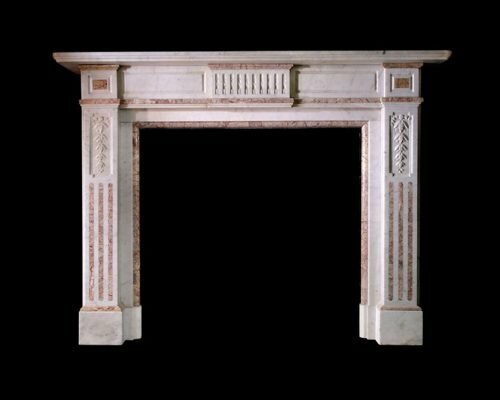 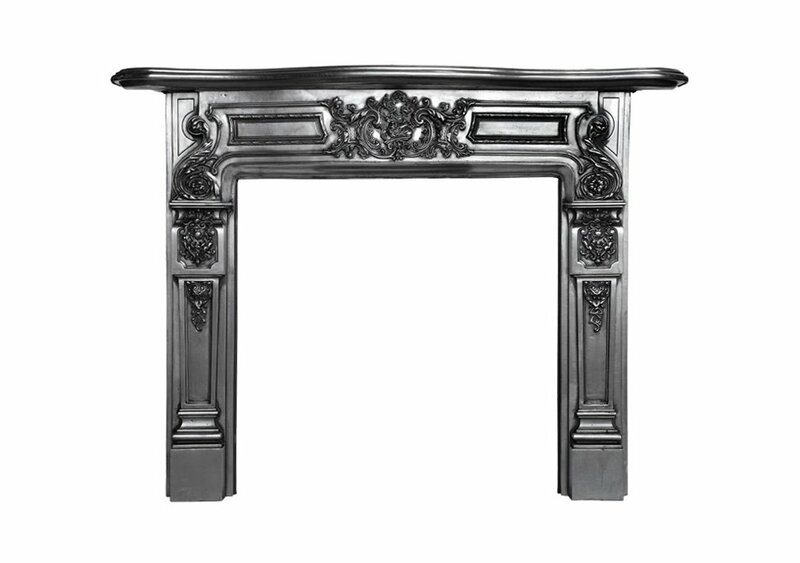 A good Edwardian Statuary chimneypiece with Brocatella inlayed into the flutes down the jambs as well as making the ingrounds and fillets, there are bell drops carved along the jambs. 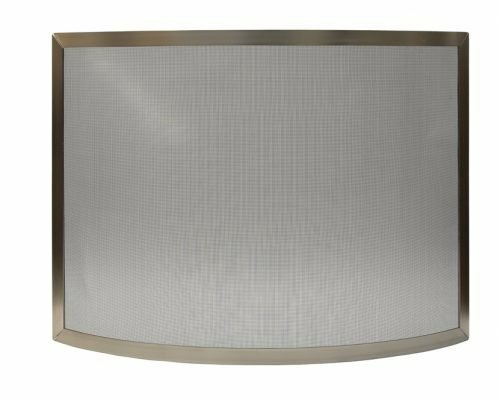 A contemporary design of curved fire screen that sets a mesh screen within a border of brushed steel. 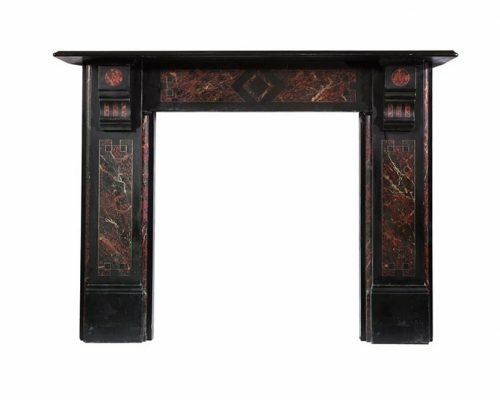 An Edwardian Welsh slate surround with incised painted panels with marble effect and lantern corbels.